Our Review: "Performing well in both short as well as long game, the Titleist V1 series is a high end golf ball that achieves great trajectory and feel. The only downside is the price, as this is one of the most expensive golf balls on the market right now and is considered a long-term investment". For almost one and half decades, both the Titleist Pro V1 and Pro V1x have dominated the golf ball market. 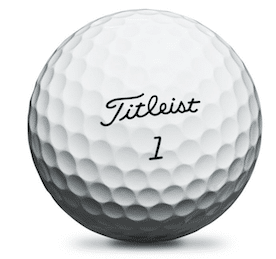 The flagship twins from the self-proclaimed (rightfully) number 1 golf ball maker in the world, Titleist, are popular with amateurs and tour professionals alike. Titleist claimed that the Pro V1 and Pro V1x will cater all skill levels and swing speeds, as well as various play styles. They recently updated the Pro V1 and Pro V1x with a new upgrade, based on feedbacks from players and customers. With such big boots to fill, being the best selling and most popular golf balls in the world, what kind of upgrade can be deemed an upgrade? Let us dig deeper into the matter, as we will discuss in great detail about the twins. 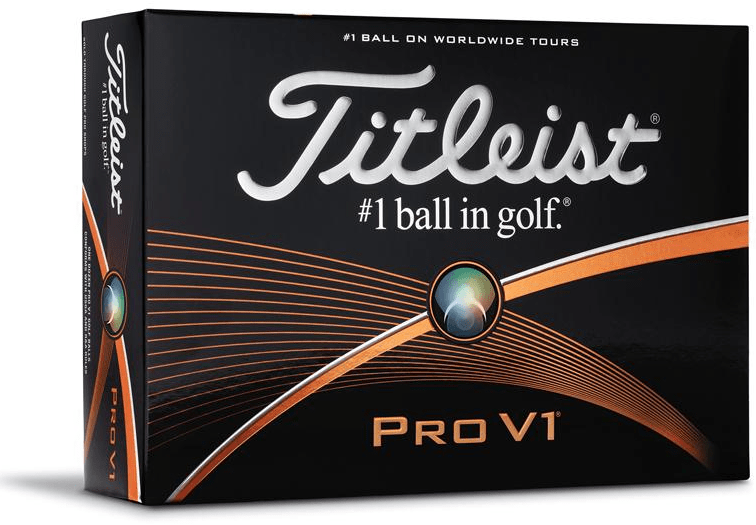 First, let us begin by understanding the pros and cons of the Titleist Pro V1 and the Pro V1x. 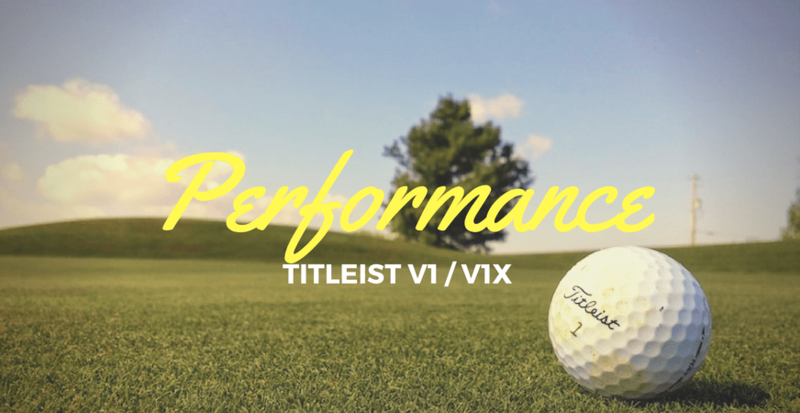 How does the Titleist Pro V1/V1X compare to the competition? Exceptional Distance: Although both the Pro V1 and V1x are not "distance" balls, they do cover an exceptional driving distance. Consistency: Both the Titleist Pro V1 and V1x are built with consistency in mind, they provide the gold standard for consistency. Flexibility: The soft feel on both balls provides the greenside confidence for your short game control; on the other hand, the balls provide enough stopping control with your long game. The spin on both the Pro V1 and V1x are simply superb. Feel and Sound: Simply put, the Titleist feel. The updated, softer surface on sets a new softness standard on modern golf balls, and the sublime sound and feel of both the Pro V1 and V1x are simply, gratifying. Cost: For roughly $50 a dozen, the Pro V1, and Pro V1x are simply not a cheap investment. Will their quality justify their costs? In our opinion, a definite yes. These two balls are among the most expensive balls on the market. Designed for Pros and High-Level Amateurs Only: To put it abruptly, unless you play to a single-digit handicap, and even probably sub-5 handicap, you will notice minimum differences compared to other -probably cheaper- alternatives. Let us dig deeper to the key qualities of the Titleist Pro V1 and Titleist Pro V1x. Because they are, in essence, very similar to each other, we will discuss the similar values between them first. Later on below, we will discuss their key differences and which one might be more suitable for your playing style. The modern manufacturing technology for golf balls has shrunk the differences between distance balls and tour balls. Although technically not categorized as full-fledged distance balls, the Pro V1 and Pro V1x provide superb driving distance. Golfers with sufficient swing speeds (around 95 mph and above) will notice little difference in their tee shot length compared to when using, say, the distance Titleist Velocity. Titleist provides even a micro-site dedicated to its V1/V1x golf balls. The Titleist Pro V1, and its twin the Pro V1x are designed with this idea in mind: superb short game control while allowing sufficient driving lengths comparable to distance-oriented balls, and their short game control is indeed, more than astonishing. The softer surface allows better confidence and feel to execute your greenside control. Whether you are executing a chip, a bunker shot, or a touch thin check, these twins respond beautifully with results - Golf Digest goes step-by-step on how to achieve these shots. We all know how important stopping power is for the irons, and these balls will provide you with just that. With any solid shot, the balls will have enough spin to sit firmly on the green after a long hop. The Pro V1x flies at a higher trajectory and a lower spin rate, making it performing better to penetrate windy days or firmer fairways. Both the Titleist Pro V1 and the Pro V1x are designed for low-handicap amateurs (single digit), and professional golfers. 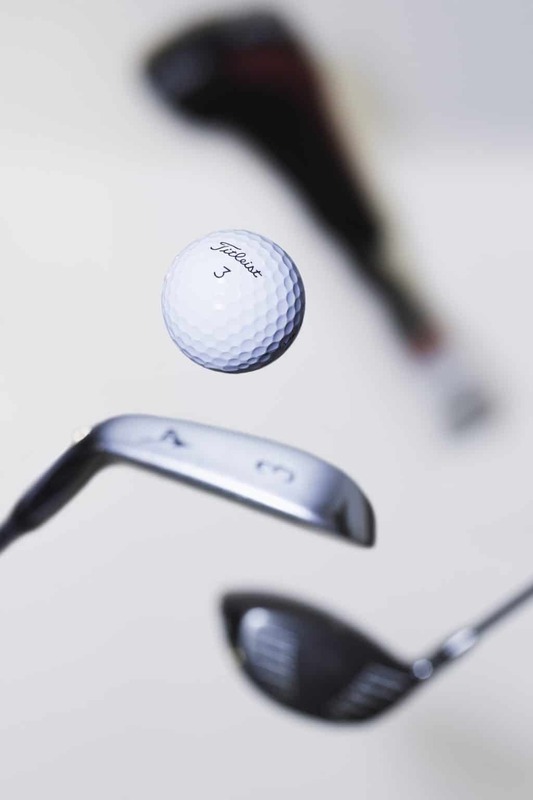 Swing speeds above 100 mph are preferred to harness its true potential for longer driving distance, great spin rates, while still maintaining the superb greenside control. 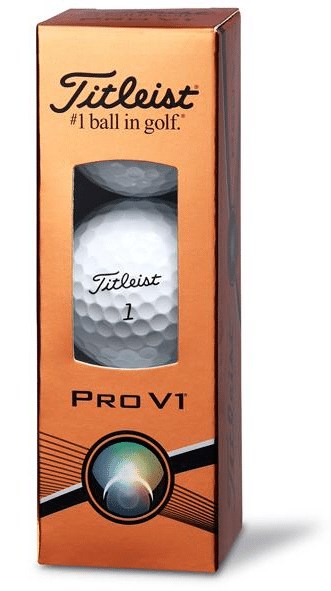 Although the previous edition of the Pro V1 and V1x are already great products on their own, Titleist listened to feedbacks from golfers, both professional and amateurs to improve both of these products to cater the more demanding modern game of golf. The patented thermoset urethane elastomer technology provides a softer cover. The results? An overall softer feel while maintaining short game control, and increasing spin for the longer shots. They are noticeably softer than the previous versions. In fact, they are performing better, distance wise, than the model they are replacing. The previous versions of the Pro V1 and Pro V1x already utilized Titleist's revolutionary painting system. Now, combined with the urethane elastomer cover, the balls will stay whiter and brighter after prolonged use. Durability is not just for looks, as the painting and cover system will also allow consistent aerodynamics throughout use for your performance. The abrasion resistance of the Pro V1 and the Pro V1x are also dramatically improved. Although the updated cover system is seemingly a minor improvement, it does significantly improve the overall feel, durability, and consistency, and might improve your scoring performances and overall control as the results. Consequently, we have now high (for the V1x) and mid ​compression (for the V1) golf balls, as Golf Info Guide suggests. As we have discussed the key features, qualities, and the improvements found on both models, let us now discuss the differences between the two twins. 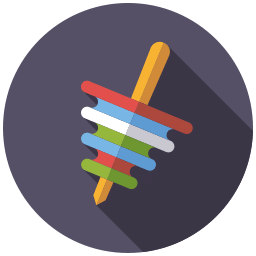 Although in their core essences, they are very similar in a lot of ways (see this post on Quora if you were not already convinced), there are several major differences that might cater different needs. Although they are very similar -and superb- in this category, the Pro V1 is slightly softer than the X counterpart. As a result, it has slightly more spin and stopping power, allowing better greenside control. The Pro V1x utilized Titleist's ZG process dual core technology, opposed to the single core found on the Pro V1 version. The result? Better velocity and longer driving distance. Although all Titleist balls have less than 5 yards driving length differences between all of them, the V1x does indeed have better driving distance compared to the V1. If you are looking for a longer ball, the Pro V1x is the way to go. The V1x flies at a slightly higher trajectory compared to the V1, while having an overall lower spin. The sidespin of the Pro V1x, in fact, is very dampened so you can expect a very straight flight. As the result, the Pro V1x has longer driving distances, and will perform better on windy days compared to the Pro V1. The Pro V1 has an overall softer feel, more spin on the long game, and lower flying trajectory with more penetration. The angle of descent is a little more shallow. The Pro V1x is slightly firmer, less spin on the long game, and launches higher with a steep angle of descent. Both the Titleist Pro V1 and the Pro V1x utilized the patented Thermoset urethane elastomer as their cover technology, allowing a softer yet more durable surface compared to the previous version. Both versions are also finished with Titleist's superb painting technology allowing more longevity on the color and brightness. Specific for the Pro V1, the ball is designed with a three-piece multicomponent technology. The Pro V1x utilized only one very soft compression core, deemed the ZG process core. 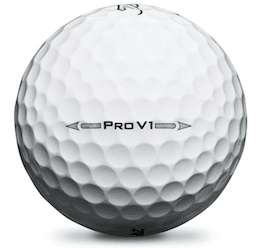 The Pro V1 utilized 352 tetrahedral spherical tiles for its dimple design. On the other hand, the Pro V1x only used 328 tetrahedral spherical tiles, while using two ZG process cores (dual-core) to complete its four-piece multicomponent technology. We already loved the previous version of the Pro V1 and the Pro V1x. However, we felt that they are much firmer than their older balata predecessors. On this new version, they did upgrade the surface with the Thermoset urethane elastomer cover, with the mission to make it softer yet more durable. We can noticeably detect the softer feels of both the Pro V1 and Pro V1x. The Pro V1 is designed to be a little softer than the Pro V1 X counterpart, and we definitely notice the difference. 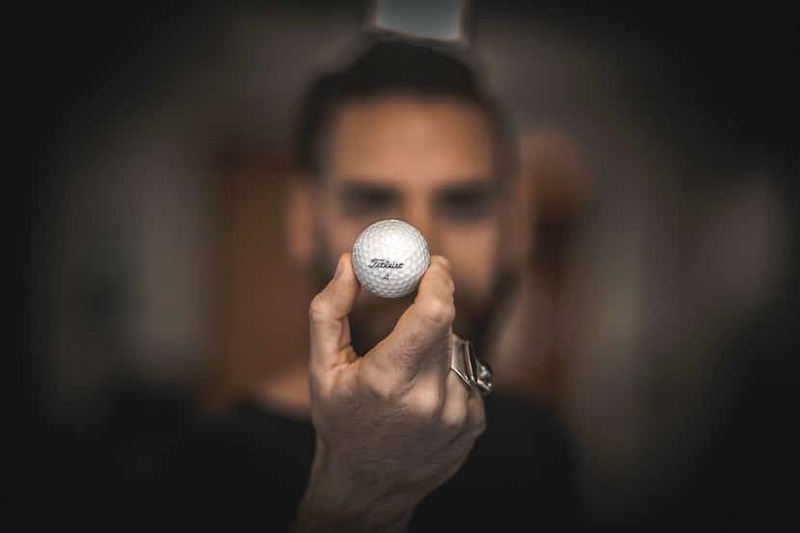 The Pro V1x is designed to have a better driving distance, and we felt that the softness is proper enough to achieve that purpose while maintaining the overall Titleist feel and control. It's soft enough to allow better control, yet not too soft so that it will lose its distance. Players with swing speeds above 105 mph will really notice (in a good way) the proper softness of the Pro V1x. The new upgrade further improves the signature Titleist's sound from these products. Expect the recognizable clicks, smooshes and squishes of Titleist on impact. We understood the importance of putting sound for many golfers' confidence, and performance, and we definitely understood many golfers chose Titleist for their specific signature sound. Your expectations will be met on that regard with from the new model Pro V1 and Pro V1x. In our opinion, the sound of the Pro V1 is a bit better compared to the Pro V1x, due to the firmer surface of the Pro V1x. It's a very small difference but it can be heard if you listen carefully. If you are used to the older editions of these balls, expect a slight squishing sound of the new urethane surface. Titleist claimed that their improved cover and painting systems will enhance the durability of these two products, so we put them into tests. We tried the balls against indoor hitting mat, driving it against several surfaces ranging from wood to steel walls, and the durability is just superb. You can easily wash these balls and put them back in play instantly. With the balls being fairly expensive, it's good to know that they are more than durable enough to justify the investments. Short game control has always been the bread and butter for both the Pro V1 and Pro V1x on their earlier models. On their latest upgrade, the short game control of both are definitely improved with the new cover technology. The softer feel of both products allow better greenside spin and stopping power, improving the overall control and confidence. The overall feel of the putts on these balls are firm, yet not harsh, and the responses are superb as ever. With the Pro V1 and the Pro V1x performing so well on the greenside, we may wonder how they may fare with the irons. Although you can't expect things like sweeping draws or 25-yard fade anymore, which are the signature of the old balata age, the Pro V1, and Pro V1x are simply the best representatives for modern balls' penetrating flight. It is simply very rare for a ball to perform on all distances, but both the Pro V1 and Pro V1x are simply amazing with the irons. Although steady, penetrating, and a relatively straight flight is the default mode for both the Pro V1 and the Pro V1x, more skilled players can easily manipulate the trajectory and can achieve enough curve when attempted. Expect a higher trajectory and more abrupt drops from the Pro V1x, although it still retains its overall steadiness. If you have used the earlier editions of the Pro V1 or the Pro V1x, you will notice the softer surface of the 2015 editions in your swinging game, especially with the mid and short irons. Let us clarify this once more: both the Pro V1 and the Pro V1x do not belong to the distance ball category. However, with that being said, these twins still perform alright in the long distance game. In fact, with the modern technologies, the distance difference between distance balls and tour balls have shrunk dramatically. For example, the average driving range of the Pro V1x, which is slightly longer than the Pro V1, is only less than 5-yards shorter compared to say, the Titleist Velocity, which is designed to be longer. With the Pro V1, you can expect a penetrating yet long-hanging trajectory off the tee. If you have used the earlier editions, you may notice that there is now less spin on a well-struck drive, allowing further distance and straighter overall flight. The Pro V1x offers a higher launch compared to the Pro V1, in fact, the new upgrade allows an even higher launch trajectory. The spin, especially the sidespin is noticeably dampened, so you can expect a very straight path. This is exactly what was pinpointed by experts when the V1x was introduced in Las Vegas. If your driving game is more into fades and draws, the Pro V1x is a slightly better choice, although it's still workable with the Pro V1. We have mentioned several times that although the Pro V1 and Pro V1x are considered tour balls rather than distance balls, they have exceptional driving distances. To support that fact, we have tested both the Pro V1 and Pro V1x with a launch monitor. We used NXT Tour S as a comparable product in the tour ball category, and Titleist Velocity as contenders from the distance ball category. In fact, Titleist Velocity is widely known as one of, if not the longest ball available today, so we will see how the Pro V1 and Pro V1x fare in comparison. 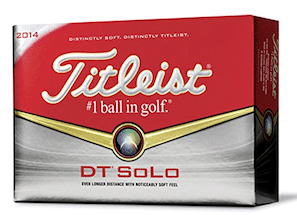 We have also included the DT Solo, a relatively well-rounded ball comparable to the Pro V1 and Pro V1x. 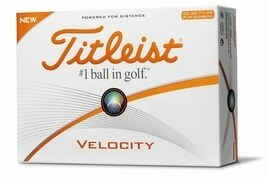 During the tests we performed, the Titleist Velocity lead the overall distance, followed by the Pro V1x, and Pro V1. The differences between each other are only around 3-yards apart. If the long driving distance is your game, Titleist Velocity might be a better choice with its significantly lower spin and higher average peak height. However, with the less than 3-yards difference, the Pro V1 and Pro V1x, which performed better on short and midrange games, are the better well-rounded choices. We have discussed a bit about trajectory in the distance section. We will now dig deeper into the subject, and once again, we will once again put the launch monitor to good use. The Pro V1 x, on average, will reach higher trajectory more often compared to the Pro V1. The difference is, on average, roughly 3 yards. With launch tests using the 60-degree wedge shots, the Pro V1x peaked at 23 yards with 30 degrees launch angle. The Pro V1, in comparison, peaked at 22 yards with 29.5 degrees of launch angle. With the six-iron, the Pro V1 peaked higher at 34 yards, with launch angle of 15 degrees. The Pro V1x peaked at 33 yards, with the launch angle of 14.4 degrees. The Pro V1x consistently produces less spin compared to the Pro V1, and Pro V1x tends to fly straighter and drops abruptly. During wedge and iron tests, Pro V1 and Pro V1x peaked relatively lower compared to Titleist Velocity and DT Solo. Titleist Velocity reached higher trajectory more often and has consistently higher launch angle, but the Pro V1x is not far behind. If you are content with maintaining the required costs, both the Pro V1 and Pro V1x are excellent choices for driving range activities. They both have exceptional range, with relative ease to control the spin. They are also excellent to practice your wedge shots with. 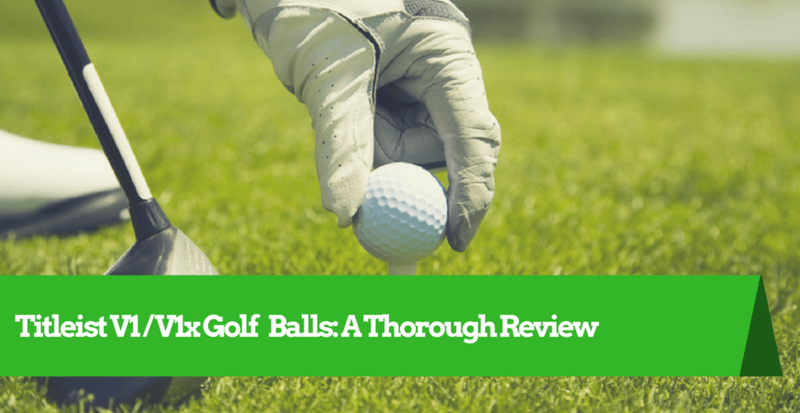 However, as we have mentioned, they are fairly expensive, so you might consider using other, more affordable balls for driving range purposes. The new edition of both balls fashioned a different, more elegant looks compared to their previous packaging. Came in mostly black boxes, the Pro V1 box fashioned a gold sleeve, with a little hint of gray/silver. The Pro V1x box's design is fairly similar, but the sleeve is mostly silver/platinum, with hints of red. In our opinion, the Pro V1 packaging is slightly better, but it is a matter of personal taste. Both are simply excellent, some of the best packagings among their competition. In conclusion, both Pro V1 and Pro V1x can reach relatively high trajectory, with the Pro V1x reached higher trajectory more often. Pro V1x also produced less spin overall, so it's easier to control your stopping power, and the ball flies relatively straighter. Let us dig deeper into the key differences between the Pro V1 and the Pro V1x. Keep in mind that, although it may seem like the Pro V1x is a more premium version, they are actually priced the same. So if you asked which one is better between the two, none of them are. The Pro V1x is noticeably firmer than the Pro V1. Golfers with high swing speed (above 100 mph) will really notice the difference as the firm grip dampens their natural backspin, making the ball more controllable. On the previous versions of the Pro V1x, there was a noticeable difference to the Pro V1 in the greenside spin category. On the new edition, the Pro V1x is updated with a softer Thermoset surface, shrinking that greenside spin gap to the Pro V1x. If you are a golfer with higher swing speed, long game control, and distance in mind, the Pro V1x might suit your playstyle better. In Titleist's own words, all their balls have exceptionally long range, with less than 5-yards average distance difference between all of them. During our launch tests, we found that their claim was correct, as we compared four of Titleist balls: the Pro V1, Pro V1x, Velocity, and NXT Tour. With that regards, the Pro V1x did achieve longer average distance compared to the Pro V1, however, the difference is relatively small of around 3-yards on average. The Pro V1x produced noticeably fewer spin, and launches a little higher compared to the Pro V1. These 2 features simply made the Pro V1x a better choice for distance. The signature Titleist smoosh is more noticeable on the Pro V1, due to the firmer surface of the Pro V1x. However, it's hardly noticeable. The urethane surface of the newer versions also produces a slight squishing sound. The Pro V1x is more consistent with long distance plays. 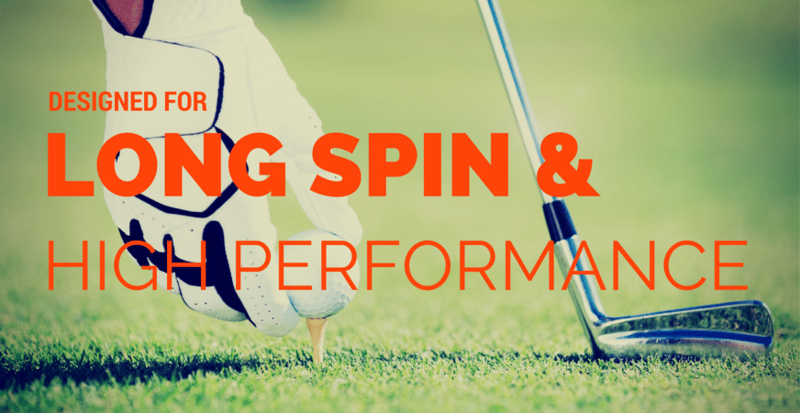 Less spins, higher trajectory, longer average range. The Pro V1x always produce lower driver spin, but you will really notice it on full wedge shots, where it generates almost 300 RPM less than the Pro V1. The dual core inside the Pro V1x, compared to the single core Pro V1, increased its overall stability and straightness. You will definitely notice the dampened sidespin, especially if you have high swing speed. To put it simply, the Pro V1x is designed for higher swing speed golfers with plenty natural backspin. The firmer surface of the Pro V1x, along with the lower overall spins will cater your playstyle with better long shots control, while maintaining the key bread and butter quality of the superior greenside control. If you like your shots to have a higher trajectory, and more abrupt drops, the Pro V1x might be the better choice for you. The new update shrinks the gap between the Pro V1 and the Pro V1x, as the differences between the two are hardly noticeable. However, in the hands of good golfers, especially those with sufficient swing speed above 100 mph, and low handicap (sub-5), the differences between the Pro V1x and Pro V1 will be very noticeable, especially the lower overall spin. 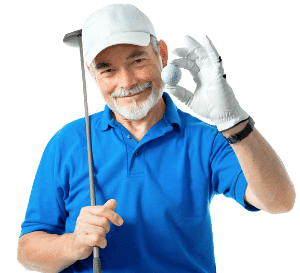 The Pro V1, albeit small, has a superior short game control, and can also be exploited in the hands of good golfers with an already strong short game. It's always hard to do a definite comparison between golf ball products, as each golfer will have a different playstyle, need, and preference. We will try to cover all those aspects during this section, and for that purpose, we have selected several comparisons that might fit different categories. Verdict: The Titleist Pro V1 performed better in short game control. 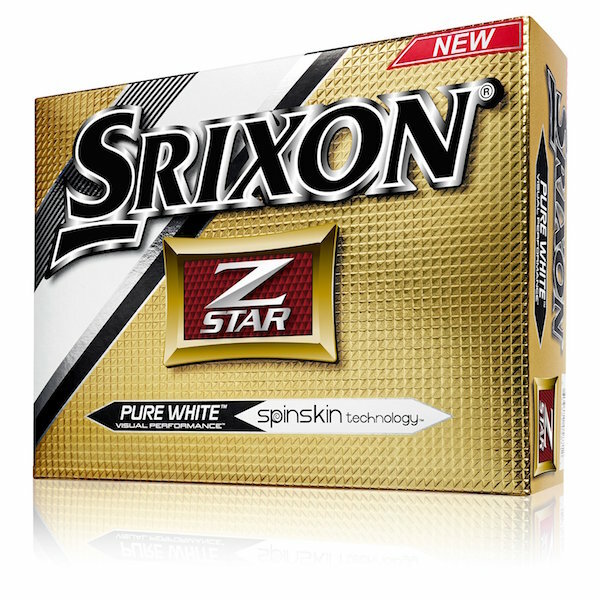 The Srixon Z-Star, however, will perform better in windy situations with its penetration. On most other situations, the Pro V1 might be a better overall pick. The Z-Star XV is similar with the Pro V1x with its dual core feature, both designed for better distance with driver hits. Our verdict is similar, the Pro V1x is overall better, but the Srixon has better penetration for windy seasons and firm fairways. Verdict: The distance both can achieve is indeed, very similar to each other. 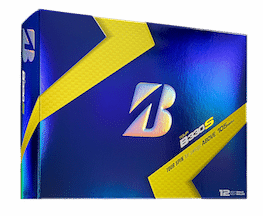 The Pro V1x has a far superior greenside control, but the B330 is significantly more durable. B330 might be a better choice for driving range purposes due to its durability. 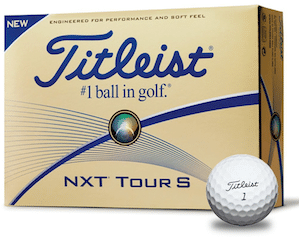 Why we chose this comparison: NXT Tour and Tour S are more affordable options for Titleist. Would the difference in costs be justified? Verdict: The Pro V1 and Pro V1x are definitely better in the short game spin category. However, only professional and high-level amateur golfers will notice the difference. In fact, only high swing speeds of above 100 mph can bring out the true qualities of the Pro V1 and Pro V1x. For beginners and lower-level amateurs (double digit handicap and above), the NXT series might be a better (and more affordable) choice. Why we chose this comparison: The DT Solo is often hailed by its followers to be a more affordable version of the Pro V1, would that claim live up to the facts? Verdict: The DT Solo, for its price range, is indeed a very good ball with relatively soft surface and comparable distance to the Pro V1, although the Pro V1 will consistently achieve slightly longer distance with better overall control. The Pro V1 is still superior in almost all categories, but the DT Solo could indeed be a cheaper alternative with some similar characteristics. Verdict: The Velocity has a longer distance, firmer surface, and noticeably less short range spin. Simply put, the velocity is better for long shots, and the Pro V1/Pro V1x are better for greenside. You’ll NEVER guess what Robin Willims has to say about Golf!